Malta is definitely the mouse that roared. It is tiny yet impressive enough for the country to be awarded the George Cross for bravery in World War II. There are five islands in all with only three inhabited. 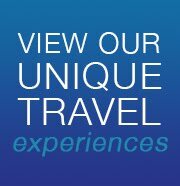 Malta, the main island, is 28 km long by 14 km wide. Gozo is 15 km by 7 km and Comino (with 5 elderly inhabitants) is only 2.5 square kms. The centre and south of Malta are almost totally built up with cities and towns merging into each other. 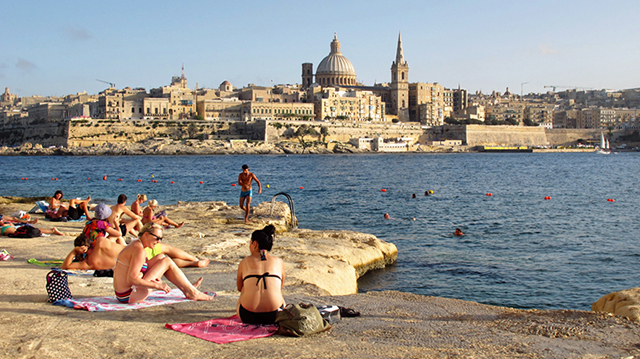 Sliema, a great place to stay, looks across the harbour to the capital, Valletta. In fact, Malta and Gozo have more than enough churches to have a different one for every day of the year. Every village has a much larger church than the population warrants. 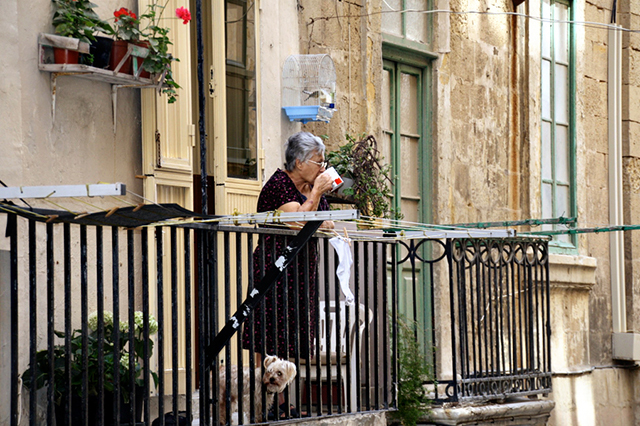 Village rivalries played a big part in this facet of Maltese life. It gets even more competitive in the towns where local loyalties can be divided between rival saints, each of which will have his own spectacular church. 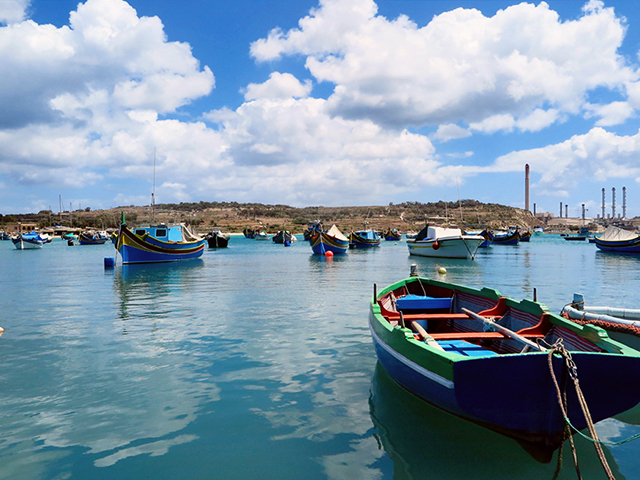 Both Malta and Gozo are indented with some beautiful harbours. Valletta and Sliema are located in the main harbour, with attendant cruise liners but it’s the enormous fleets of yachts that grab the attention. 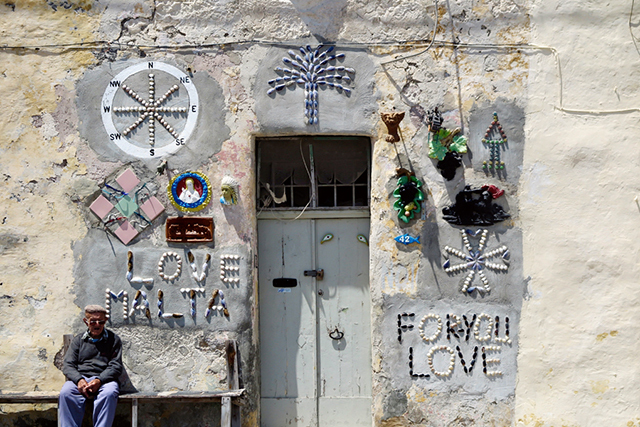 Malta has two main resources: sunshine and rock, both of which are in great supply. Both Malta and Gozo have the granite and limestone cliffs to prove it. While Malta is heavily settled, Gozo has quite a bit of farmland set around a narrow rocky inlet with the whole cliff riddled with grottos. Its special offering is hidden from casual inspection with what they refer to as an Inland Sea near Dwejra, filled with water from the Mediterranean through a narrow cleft. Small boats will power you through a dog-leg channel that is almost invisible from the seaward side. Sadly, after heavy storms, Malta's famous Azure Window recently collapsed into the sea. Although a beautiful landmark has been taken from us, be sure to keep Malta on your bucket list as there is plenty more where that came from. 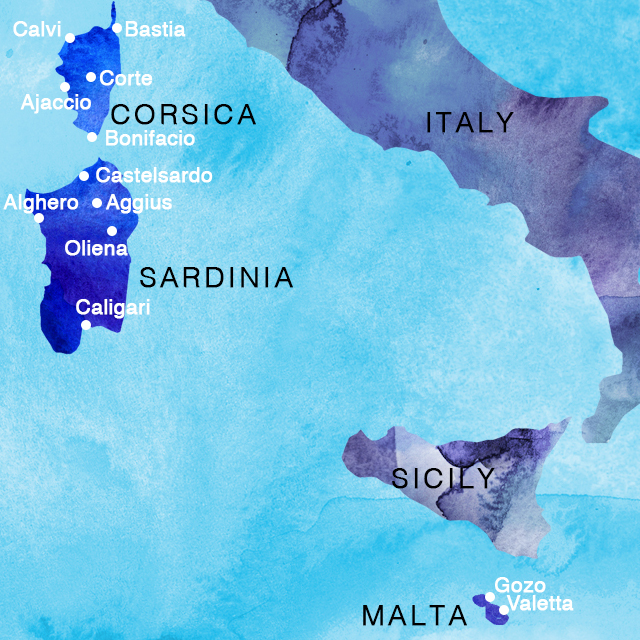 Join Blue Dot Travel's small group Malta tours, which include Corsica and Sardinia - Click here.